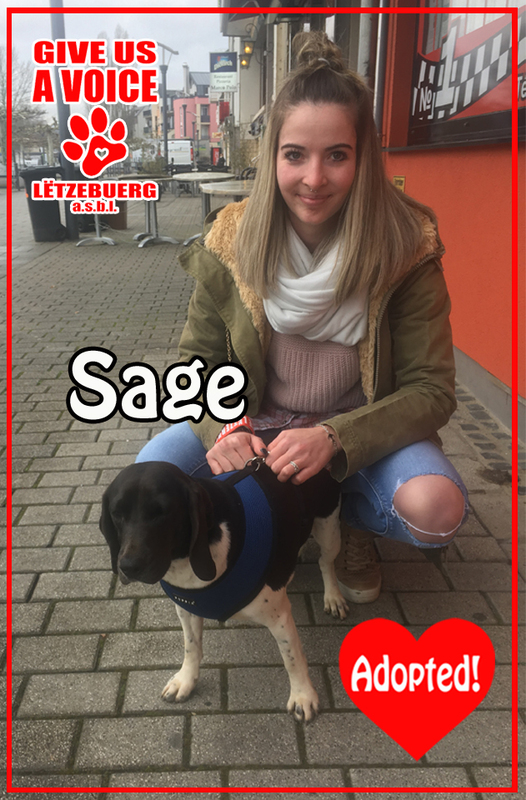 GIVE US A VOICE has great news, Sage has been adopted! Sage was waiting and waiting for a family at a shelter in Malta before finally being given a second chance at happiness. We would like to give a big THANK YOU to the Loengten family for deciding to adopt and not shop. We know Sage can look forward to a future filled with love and affection!